Sea, Sand & Sky: Good News for the Metropolitan Region's Public Beaches! Good News for the Metropolitan Region's Public Beaches! The “Environmental Bond Bill”, House No. 3332, contains some very good news for the metropolitan region’s public beaches. 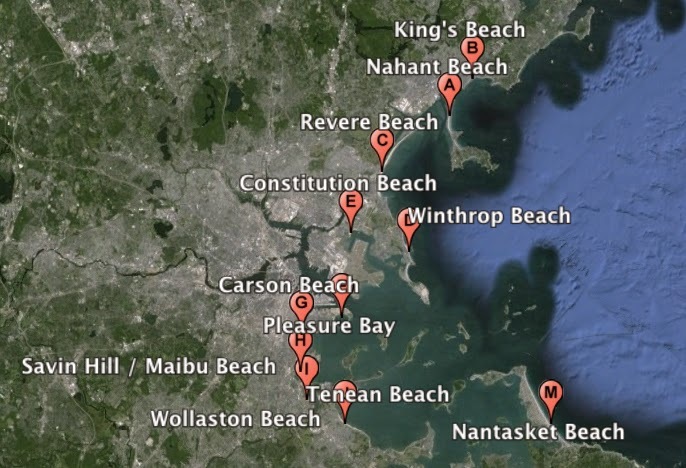 The bill, which was favorably reported out of the Joint Committee on Environment, Natural Resources and Agriculture today, contains $20 million to improve water quality and $40 million for capital projects on the metropolitan region’s public beaches from Nahant to Nantasket. These funds will support investments which will protect the environment and improve the quality of life for residents of the region's coastal communities. Save the Harbor would like to thank the Metropolitan Beaches Commission and our many friends and allies in the Massachusetts Legislature for their commitment to continued public investment to restore and protect Boston Harbor and these remarkable coastal resources. We also want to take a moment to thank our many friends and supporters in the region’s waterfront neighborhoods and beachfront communities for their steadfast support. We recognize that it is early in the process, but we are encouraged by the support that these items have received. Here are the relevant sections of the bill.